5 December is His Majesty the King Bhumibol Adulyadej’s birthday, วันเฉลิมพระชนมพรรษา พระบาทสมเด็จพระเจ้าอยู่หัว in the Thai language. The King is the father of all Thai people, 5 December is also Father’s Day (“WAN PHO HENG CHAT” – วันพ่อแห่งชาติ). Massive festivities are planned throughout Thailand, centering along the Chao Phraya river in Bangkok were 587 boats will sail down the river with over 8,000 floating lanterns and 30,000 people taking part in the procession. 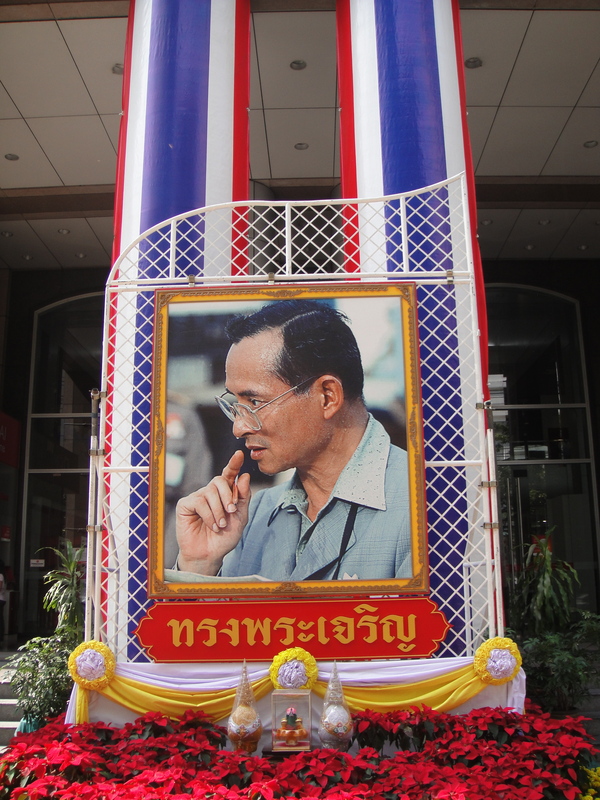 This entry was posted in Bangkok, Culture, Thailand and tagged Bangkok, current events, Fathers Day Thailand, King's Birthday, Thailand, travel to Bangkok now. Bookmark the permalink. We will be visiting thailand and i would like to know where the King of Thailand resides or his home address in case we have the chance to pass by that place?